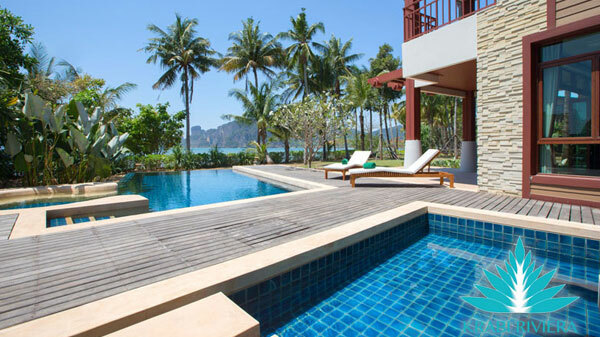 The villa is located just steps away from the sand of Ao Nam Mao beach. There is an outdoor covered patio and a sun deck with chairs around the 43 square meter private pool, which features an infinity edge and Jacuzzi bench. The garden stretches the full length of the wide 200m beachfront. A larger communal pool is also available within the development for those who wish to swim laps.